100% of Your Sales Come From One Place | Do You Know Your Biggest Expense? 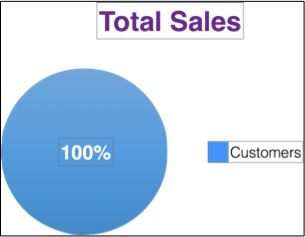 Where Do Your Sales Come From? 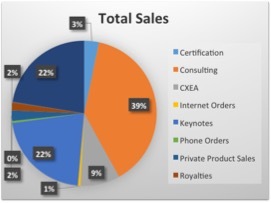 Leaders love to talk about revenue streams by showing graphs and charts with the breakdown of sales categories. It is important to know the percentage of sales generated by products or services and to monitor trends, especially growth and decline of your business revenue. However, there is one critical component that every business has in common, which is never discussed. 100% of your sales come from one place. Your customer! When you look at it that way, it sheds a stronger light on why companies need to put more emphasis on building an incredible consistent customer experience that becomes your number one competitive advantage and helps make price irrelevant. Comments Off on 100% of Your Sales Come From One Place | Do You Know Your Biggest Expense?